Previous Post Which Nativity Story? There were Jews in Egypt, but the Bible stories? Almost nothing to back them up. The events described in Exodus should have left evidence and since the later 19th century, “biblical archaeologists” have combed the region looking for the confirmatory signs, convinced of course of the veracity of those stories. The result, essentially nada. The link basically points to narratives in the Bible that contradict the mainstream narrative in more than trivial ways. Surprise, surprise. This was pretty surprising to me. I’m reading the article and 1 Chronicles 7 again. Yeah, weird and sort of crazy. I mean, I was aware of the archaeological issues, but I had just never before noticed the slip up with Ephraim or even Judah before. I do recall the story of Judah, but had never considered the age problem before. …And the difference in genealogies again springs up. If precise genealogies do not matter, then there’s no need whatsoever to bother listing them. Without being precise they fail to do what the process of listing them sets out to do. William the notes in my Study Bible simply say ‘in the case, Ephraim (v.22) would not refer to the patriarch but to a later descendant of the same name’. This excuse is used despite the relevant section naming each of the patriarchs in turn. But I suppose they have nothing else to offer as to argue it was the son of Joseph who lived in Egypt 400 years before the Exodus would be rather inconvenient to the case for inerrancy. I should add that Chronicles is a problematic book in many ways. It was among the last of the books of the OT to be written and in the Jewish Bible is the last book. – to change the focus from “God’s” judgement to “God’s” grace. So it is history with an agenda. This makes sense as a human book. After all Samuel/Kings were written to explain why “God” abandoned his people and allowed them to be conquered. So some generations later the priests realised the folk needed a bit of hope so they rewrote their history from a more positive perspective.In doing so they adopted the standards of the time and seem to have thought little of directly contradicting the earlier stories. A comparison of Chronicles with Samuel/Kings will show numerous inconsistencies. Unfortunately some Bible translations actually change the text to remove some of the more glaring differences (the technical term is emendation), the translators conclude that because the Bible comes form ‘God’ it must be correct so the ‘errors’ must be like typo’s which they stealthily remove – things like inconsistent numbers). Great comment, Peter. I didn’t know all of that. The things we learn on the blogs. Excellent, Nate, and Kudos to Pete for pointing it out. Mak’s right, The things we learn on the blogs. And I would not be in the least surprised that, in the future, it will be through the blogs that all of biblical scholarship will eventually be turned on its head and be forced to step up and admit to the truth that has been knowingly, or otherwise, held back; much of which the lay-person is only now finding out for themselves. The Life of Brian was a very astute film and the line ”He’s making it up as he goes along”, is likely a lot closer to the bone than a great many people would feel comfortable with. I guess I’m curious to hear a current believers perspective on this. The issue with Judah that are pointed out in the link are interesting, but I can see where someone could easily dismiss them; however, the issues with Ephraim and also with the genealogies are more difficult to ignore, in my view. I’d like to see what a believer would say, when addressing them directly – without speaking generally, or saying something like, “First Century Jews wouldn’t be bothered by it,” etc. But have them actually speak on it specifically. Does anyone have a link to a Christian apologist’s website who discusses this discrepancy. I’d like to see how Christians harmonize this one. 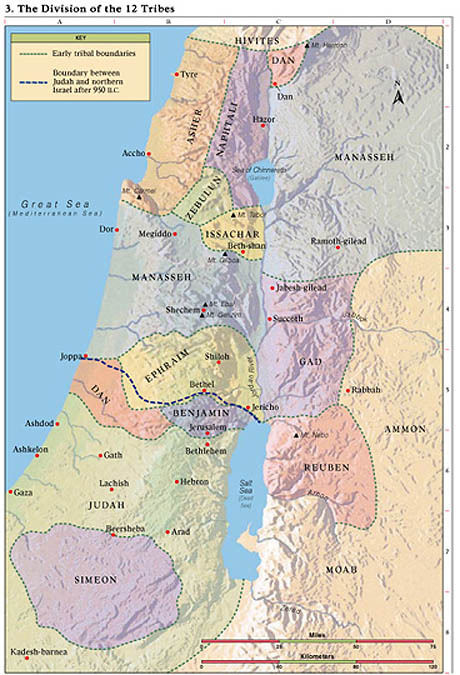 ‘Now, Ephraim was born in Egypt (Genesis 46:20), so that, on the above showing, the actual sons of Ephraim must have made some incursion from Egypt into the territories of the settled or possibly aboriginal inhabitants of Gath, and met the fate over which Ephraim so mourned. Such excursions on the part of the Israelites out of Egypt have very little collateral evidence. But there would seem to be no impossibility in the matter, considering Genesis 50:13-23. In the Midrashic reading, the Ephraimites of both Chronicles and Psalm 78 are the sons of Ephraim who fled Egypt on their own initiative before the appropriate time. They calculated the time of the redemption through various means, but were off by thirty years. They sought to enter the land via the coastal plane and encountered the Philistines of Gath and fell in battle. The reason that they died at the hands of the Philistines was because they trusted in their human calculations and refused to wait in Egypt for Moses’ instruction. Nate, I agree, they are clutching at straws rather than providing plausible explanations. In so many cases like this the apologist explanation goes against the context of the text. Of one thing pretty much all Biblical scholars agree, that context is so critical to proper interpretation of the Bible. That is where apologists are so disingenuous, they discard context when it becomes inconvenient. This is demonstrated in the Luke/Matthew nativity reconciliation efforts in regard to the Egypt trip, the context of Luke makes it a very tenuous argument. Really helpful article, my thanks to Peter and Nate for sharing.